A picture perfect smile isn't just for the Hollywood elite. Today, veneers make it possible for anyone at any age to have a beautiful smile. Even if you have stained or chipped teeth, veneers can revive your beautiful smile. 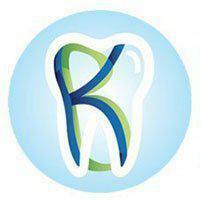 To restore your smile and receive a stunning level of personal care, visit Dr. Kainaz Byramjee at K.B. Family Dental in Renton, Washington. She can help you find out if this procedure is right for you and install them with the precision that only a dentist with nearly two decades of experience can achieve. Dental veneers are stain-resistant, resin-based customized shells made of porcelain or a composite resin. They improve the appearance of your teeth by fitting over and adhering to the front of your teeth. Composite veneers, also called direct veneers, only require one dental visit for installation. They tend to last between five and seven years before you need to replace them. They're also thinner than porcelain veneers and require the removal of less enamel before application. Porcelain veneers, also called indirect veneers, require two dental visits to be put in place. That's because porcelain veneers are custom-made to fit your teeth. Porcelain veneers tend to be more expensive than composite veneers and last for at least 10 to 15 years. Additionally, porcelain veneers are more stain-resistant and natural-looking than composite veneers. How are veneers put in your mouth? Depending on the type of veneers you choose, the procedure varies. However, no matter which type of veneers you get from Dr. Byramjee, she strives to reduce your dental anxiety and leave you satisfied with the final product. For composite veneers, Dr. Byramjee removes some of the surfaces of the treated teeth and applies the material. Porcelain veneers require two appointments. At the first meeting, Dr. Byramjee takes dental X-rays and trims your tooth enamel to prepare them for the veneers. She also takes a mold of your teeth and sends it to a lab, which is where your veneers will be made. Approximately two weeks later, the lab delivers your veneers to Dr. Byramjee's office. During your second appointment, Dr. Byramjee checks the fit and color before cleaning your teeth and roughening the surface to improve adhesion. Regardless of the type of veneers you choose, Dr. Byjramjee attaches them to your teeth with a special cement that she hardens with ultraviolet light. She then removes the excess material and polishes the veneers. A few weeks later, your follow-up visit ensures proper placement. Proper oral hygiene enables you to keep your veneers for as long as possible. You brush and floss your teeth with veneers just like you would the rest of your teeth. It's also best to limit your consumption of coffee and other foods that stain your teeth. If you'd like to receive veneers from a dentist that puts you at ease and enables you to gain confidence through a healthier, more beautiful smile, make an appointment with Dr. Byramjee today.